Ever have one of those days when you just want to make cookies? Well I have them all the time, but thankfully I rarely do anything about that urge. I'm pretty sure it would mean I would only eat cookies. Well yesterday was different; I wanted to actually make them (it would help with my green resolutions!). But I didn't want to go to the store it was raining and I'm lazy. Chocolate chip cookies? No chips. No cookie mix-ins at all, actually. 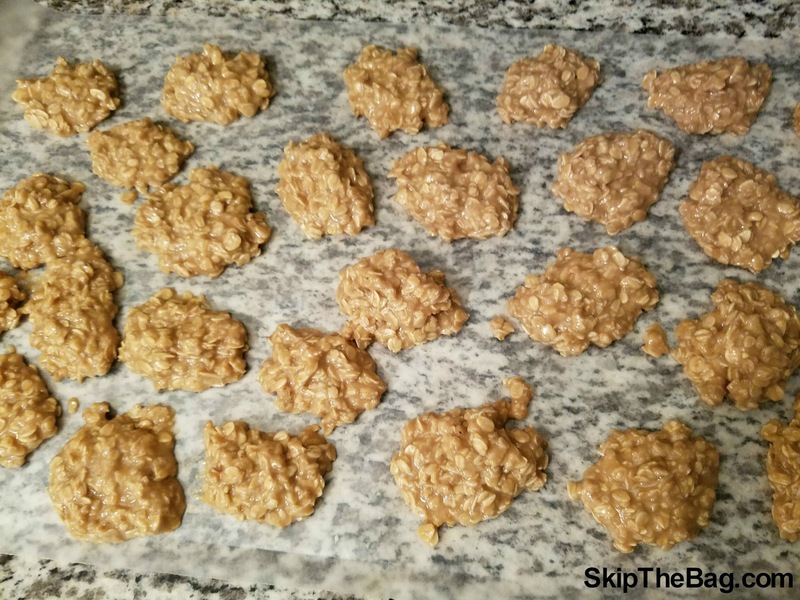 Oatmeal cookies? I had some oatmeal from my recent trip to the bulk store, but I didn't have any raisins (and you can't have oatmeal cookies without raisins!). Peanut butter cookies cookies? I'm hesitant, because I don't always love the taste of peanut butter. But wait! Surely there would be a recipe that would combine oatmeal and peanut butter, that would be delicious! So I took to the internet and found this delicious recipe. It was no-bake to boot, which means I could start enjoying the cookies that much sooner. And enjoy them I have. I'll fully admit that I ate my fair share of these over the past two days. So if you don't have plans to share it with a group of people, I suggest a half batch...or a quarter batch, because you WILL be tempted to eat them all. 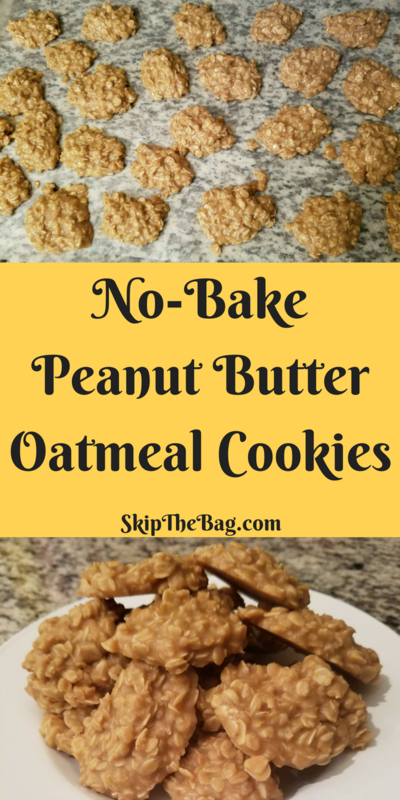 Although they are probably healthy since they are made with oatmeal and peanut butter. 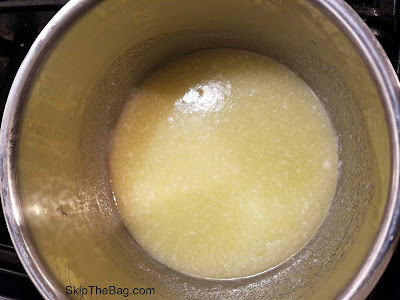 In a large saucepan over medium heat combine sugar, butter and milk. Bring to a rapid boil and boil for one full minute. Remove from heat and stir in vanilla and peanut butter. Mix in the oats, stirring until the mixture begins to cool. Drop batter by teaspoonfuls onto a cookie sheet, waxed paper, parchment paper, or aluminum foil. Let cool until set. Then try not to eat them all in one sitting. Do you ever get cookie cravings? 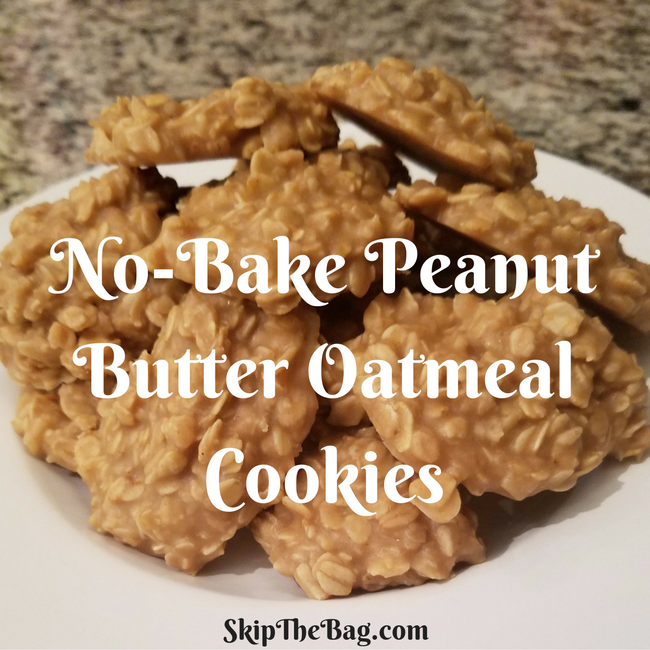 I have never heard of the peanut butter no bake cookies. Sounds great! They were delicious. You should try them! Yes, I have very little self control when it comes to sweets! With my kitchen down for the count for the next one to two months no bake recipes are of extra interest.